Welcome to the Tile Talk Blog! We are excited to have you here, as we will discuss lots of important tips, insights, suggestions, and stories as it relates to – you guessed it, tile! Whether your project goals range from green sustainability, to supporting safety initiatives, to determining the appropriateness of tile products and installation standards – we are here to help. That’s why we created this blog. We call on our technical experience and knowledge to provide you with the most current and relevant information. 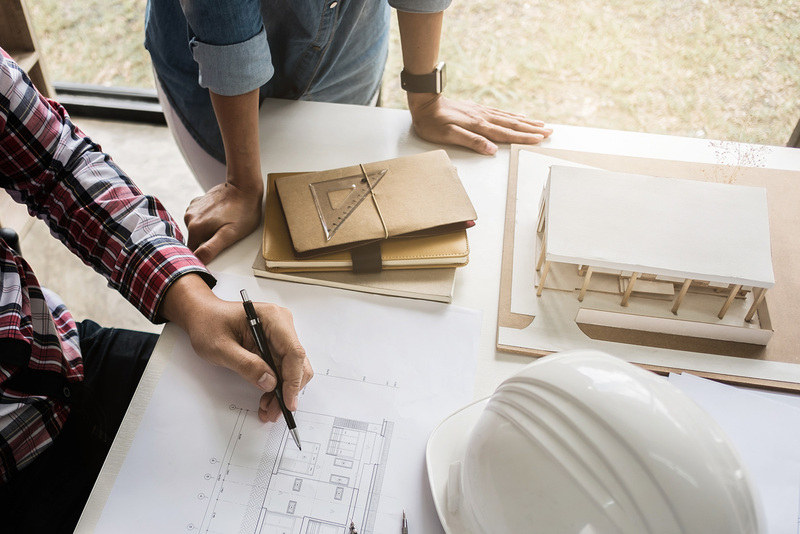 Geared towards designers and architects, construction professionals, and commercial developers, we hope that our blog can be a meaningful and tangible resource as you start your next successful project. You’re seeking guidance on smart and thoughtful specifications. You want to learn more about tile manufacturing. You want to know how to avoid common industry pitfalls and mistakes. You’re interested in tips/tricks of tile installation. You want to know more about the benefits and advantages of tile. You need help on maintenance and cleaning. You want to stay current on tile industry trends and news. We invite you to interact by sharing with us your thoughts, comments, and questions. For technical support, we can help you here. Who is the Tile Talk blog author? Glad you asked! We’ll have a few people from the Creative Materials team providing input, but Ken Ahn is the primary author. 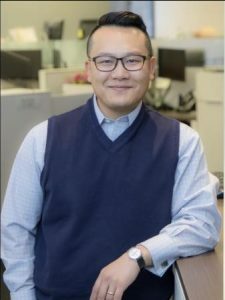 Ken is the Quality Assurance &Technical Team Manager for Creative Materials Corporation and he plays an important role in pre and post-sales activities, especially as it relates to quality assurance and technical oversight. 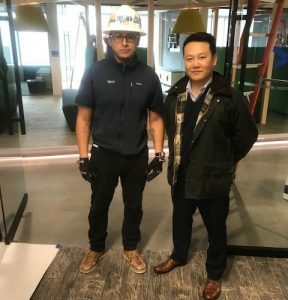 Interacting with all levels of the organization, Ken’s key contributions can be seen through pre-sales estimating and project planning, post-sales customer support, and quality control. 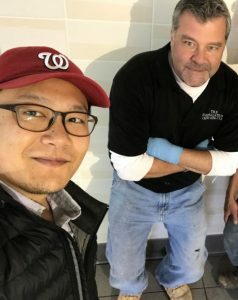 Prior to joining CMC, Ken spent over 10+ years in the Washington DC area as a construction manager in the tile and stone industry. He currently serves on the Ceramic Tile Distributors Association’s Technical and Education Committees. We’ve asked Ken a few questions so you can get to know him better. How does working with Creative Materials’ QA&T Team benefit your project? Think of us as the tile experts. If you have a tile related question, regardless of scope, let us know. From tile aesthetics and product standards to job site installation and layouts, we’ve got you covered. Our depth of knowledge and experience, especially in assessing tile systems and specifications, can help to execute on your next tile project. I think I’m able to provide a unique perspective, given my previous career as a contractor. I spent over a decade working with general contractors, tile trades, consultants, architects, and engineers. Projects ranging from a tiny one-bathroom residential renovation, to high profile, multi-phased mega projects. My experience and knowledge can help to identify potential pitfalls or issues, and provide realistic solutions. The tile industry continues to grow and change at an accelerating pace. Advances in product technology and installation methods require continued education and understanding. My goal is to help facilitate and educate our clients with the ever-changing developments in both product standards and installation measures. I started repurposing Scandinavian furniture when I was in college. I fell in love with midcentury modern furniture and design – the simplicity of style and minimalistic forms really appealed to me. The idea that a forgotten old piece could be brought back to all its glory was exciting. I still go to flea markets and estate sales any chance I have, in search of hidden gems! I also collect lots of odd and unique items. I own hundreds of vintage Aloha shirts from Hawaii, several large suitcases packed full of vintage matchbooks, and “too many to count” political pins. Bless my wife, she is very understanding. Oh, and I love my Dallas Cowboys! Making Disney inspired pancakes for the kiddos. My Mickey Mouse pancakes are famous in the Ahn household. Rudy – Someone is always cutting onions when this movie comes on. Organized by category, then followed by color. So are my children’s, although they don’t share my enthusiasm.